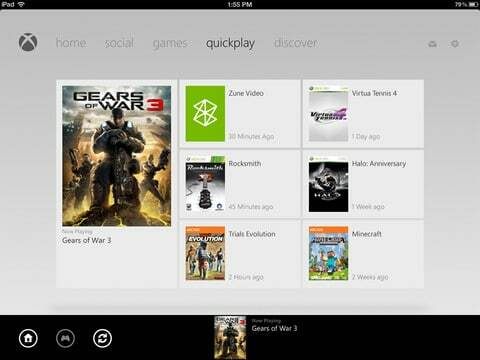 Microsoft has released update 1.6 for their My Xbox Live app. This update only brings support for the iPad to control some elements of the console, bug fixes, & some UI changes. The update also adds Retina display support for the third-gen iPad. My Xbox Live app 1.6 also fixes some bugs for iPhone users. • Use your iPad with your Xbox to connect, control and discover content on your console. Connect your iPad for access to a quick list of your most recent console activity. Control your content with play, pause, fast forward and rewind media controls. Find fresh entertainment to play in the new Discover section. If your don’t have My Xbox live app on your iPhone, iPad, you can download it from iTunes or the App Store for free (link).